"Agriculture", "Dairy Farming", "Farming", "Livestock"
Agriculture and Antibiotics: A Healthy Mix? The great majority of Americans enjoy their commercially produced meat—hotdogs, chicken, steaks, bacon, and ham. We spend less on our packaged protein, trust the safety of the greater food supply, and are well served by modern agriculture methods, or so it would seem. But, at what cost to our health? This question is one the Obama administration has been asking over the past year in its efforts to ban antibiotics from being used in healthy animals. Patty Khuly, Antibiotics Benefit Farm Animals (and People) But at What Cost?, USA Today, March 11, 2010 available at http://www.usatoday.com/life/lifestyle/pets/2010-03-10-dolittler11_N.htm. Intended to promote growth and prevent disease, the animal agricultural industry feeds hogs, chicken, and cattle a daily dose of antimicrobial drugs. As a result, the animals grow larger, faster and healthier. Id. However, antibiotic resistance is an emerging threat. When antibiotics are supplied to healthy animals in low doses for a long duration of time, resistance to the drugs build up, enabling bacteria to survive and multiply instead of being destroyed. 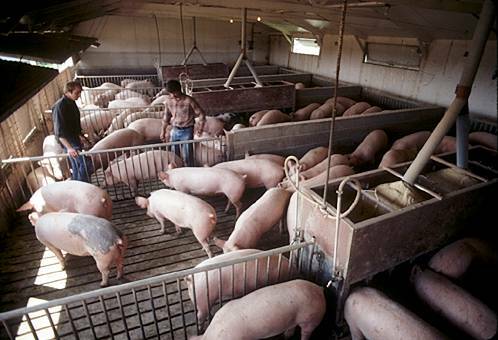 The Pew Campaign on Human Health and Industrial Farming, Antibiotic Resistance and the Industrial Animal Farm, http://www.saveantibiotics.org/resources/PewAMRfactsheetfinal1.pdf (last visited Oct. 26, 2010). Humans can acquire the resistant bacteria by eating meat from these animals or by not using proper sanitation techniques during food handling or preparation. Id. Many of the antibiotics given to animals are very similar to those used to treat humans, including tetracyclines and penicillins, among others. Id. Therefore, the bacteria becoming resistant to the drugs in animals are also likely to be resistant to those drugs when proscribed to sick humans. The impact of bacteria resistance is finally gaining some attention on the national political scene. Some recent findings show that up to seventy percent of U.S. antibiotics go to healthy farm animals to offset crowding and poor sanitation on industrial farms, and 300,000 hospitalizations and 5,000 human deaths each year are caused by foods containing E. coli and salmonella, which are increasingly becoming antibiotic resistant. Id. Statistics of this magnitude are too frightening to be ignored. President Obama has proposed a ban on non-therapeutic antimicrobials in animal feed. Opponents, however, argue that the use of antibiotics in the animal agricultural industry keeps animal sickness manageable in crowded environments, and costs low in the supermarket. Khuly, supra. As a meat loving people, however, we must consider the implications of current agriculture practice and long-term health consequences. I’ll take a burger, minus the antibiotic resistant bacteria, please. "Antitrust", "Dairy Farming", "Livestock", "North Carolina", "South Carolina", "Tennessee", "Virginia"
The following post was written by staff member Matt Cocanougher. The battle for class action certification has begun in an action pitting Southeastern dairy farmers against Dean Foods Company, Dairy Farmers of America and National Dairy Holdings, among others. In one corner are the plaintiffs, dairy farmers from Kentucky, Tennessee, North Carolina, South Carolina and Virginia, who are accusing the defendants of antitrust violations. In the other corner are the defendants, who maintain that the lower milk prices paid to the farmers were caused by "market forces and the 'worldwide recession'." Bill Jones, Dozens of Lawyers Before Judge Greer in Case that Could Have Major Impact, The Greenville Sun, Sept. 14, 2009, available at http://www.greenevillesun.com/story/305659. The plaintiffs accuse the defendants of "conspiring to monopolize raw milk production through price fixing, flooding the milk market in the Southeast and requiring independent dairy farmers to market their milk through Dairy Farmers of America-controlled entities in order to gain access to fluid Grade A milk bottling plants." Jaime S. Jordan, Dairy Farmers sue Dean Foods, Others, Dallas Business Journal, July 24, 2007, available at http://dallas.bizjournals.com/dallas/stories/2007/07/23/daily7.html. The plaintiffs allege that the defendants have been able to accomplish this price fixing scheme by owning milk bottling plants consisting of 77 percent of the bottling capacity in the Southeast as well as creating full-supply agreements with bottlers and supermarkets which the plaintiffs argue gives the defendants control over about 90 percent of the Grade A milk produced in the Southeast. Id. Plaintiffs claim that defendants bought these bottling plants for the purpose of stifling competition and introduced milk from other parts of the country into the Southeast market to depress prices paid to the Southeastern farmers. See Jones, supra. The defendants paint an entirely different picture of the alleged antitrust violations. They argue that the lower milk prices being paid to farmers are the result of the current economic downturn and merely reflect market forces. Id. 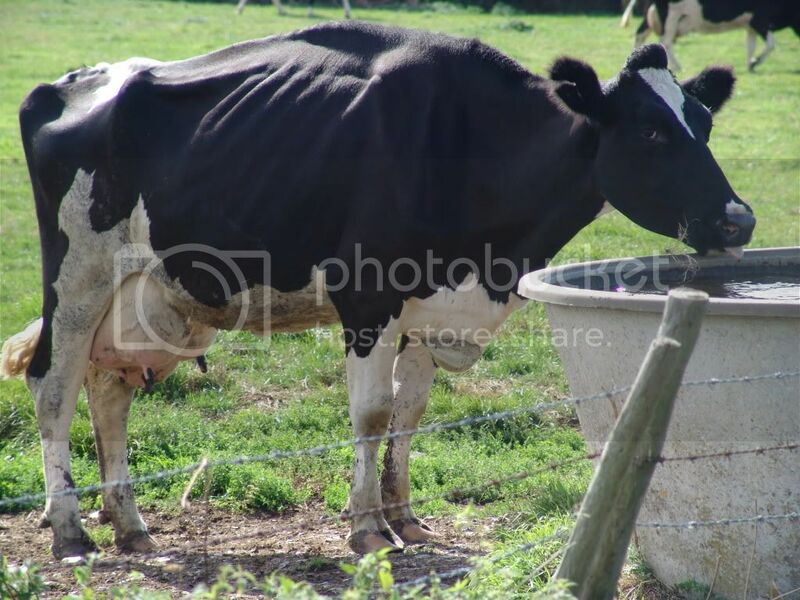 In addition, the defendants turn the plaintiffs' argument about full-supply agreements on its head, arguing that these agreements actually benefit Southeastern dairy farmers by ensuring that they have a market for their milk. Id. In the defendants' view, without the full-supply agreements, milk bottlers would leave the Southeast and go to parts of the country with surpluses of milk to buy the milk at a lower price, effectively cutting out the Southeastern dairy farmers. Each side will soon get its chance to make these arguments in court. While the suit was originally filed in 2006, it has now picked up steam, with the most recent hearing on September 10, 2009 packing the courtroom with around "40 lawyers" and including "nine hours of oral arguments" about which documents should be made public. Id. Additionally, while the defendants are defending this action in Tennessee, they must also turn their attention to a nearly identical suit filed in Burlington, Vermont on behalf of Northeastern dairy farmers alleging the same antitrust violations. See Rick Barrett, Farmers Sue Dean Foods, Dairy Farmers of America over low milk prices, Milwaukee Journal Sentinel, Oct. 9, 2009, available at http://www.jsonline.com/business/63875622.html. A victory for the plaintiffs in the Southeast would not only have a big impact on the similar case filed in the Northeast, but it could also greatly affect the future of the dairy farming industry in the entire United States.